Cataracts are common, age-related clouding of the clear lens that covers the eye. 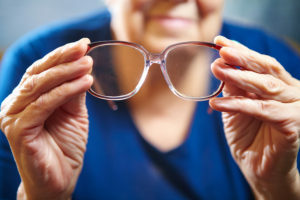 Though they are not dangerous or threatening to the health of the eye, cataracts can be an inconvenience when performing seemingly routine tasks, such as reading, driving, cooking, or watching TV. Cataracts often start small and evolve into larger vision obstructions. Some of the most common symptoms of cataracts include clouded and blurred vision, as well as impaired night vision, light sensitivity, or seeing halos around lights. Dacula treatment for cataracts usually begins conservatively using eyeglasses or simply turning on brighter lights. But as cataracts progress, they may require vision restoration surgery. Cataract surgery is a very safe procedure performed everyday across the U.S. If you require surgery on both eyes, note that only one eye will be operated on at a time. During the surgery, your eye will be numbed and you may be placed under sedation to help you relax during the procedure. Using a special instrument – often a laser – your eye doctor will carefully remove the clouded lens from your eye and replace it with an artificial one made of silicone, plastic, or acrylic. Because Dacula cataract removal is an outpatient procedure, you should be able to return home the same day as your surgery. Will I need to follow-up with my Dacula eye doctor or follow any post-operative instructions?